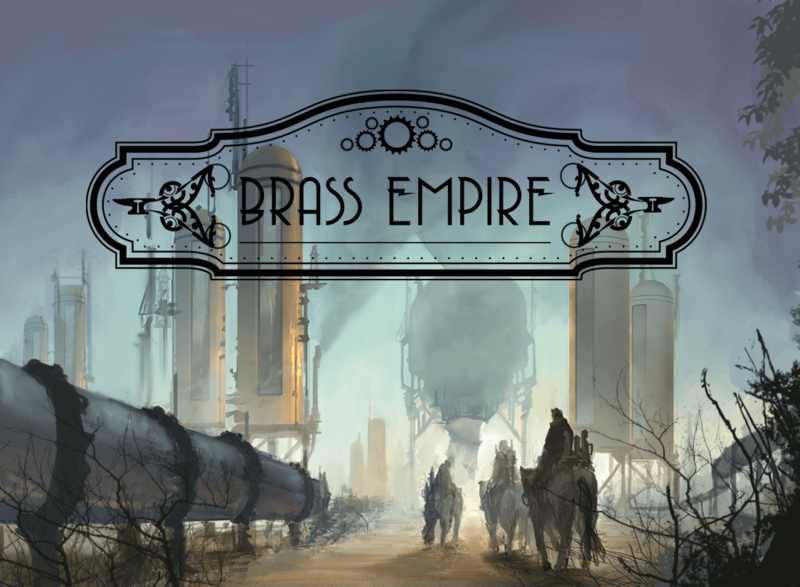 Brass Empire is a steampunk-themed deck-building game where each player takes on the role of a different corporation to hire the best employees, construct buildings, and manufacture steam-powered machines. Players battle and sabotage each other to amass economic wealth and influence to win the game. Overview: Welcome to the steampunk world of Cobalt. For centuries, Cobalt has been ruled by corporations seeking to enhance their wealth and influence with Brass. Brass doesn’t just fuel the economy but literally fuels the technology and transportation of the world through its unique thermodynamic properties. Every day these companies compete and battle to expand their territory and authority. Companies work to optimize their labor force and resources to mine the most Brass in each territory through corporate espionage, technology, security, and even sabotage. You work for such a company and have been tasked with expanding into a new region by constructing new corporate buildings, hiring employees, and battling other companies in the area. The player who earns the most Brass will lead his company to victory in the region. Wenst u het gezelschapsspel "Brass Empire" aan te kopen?